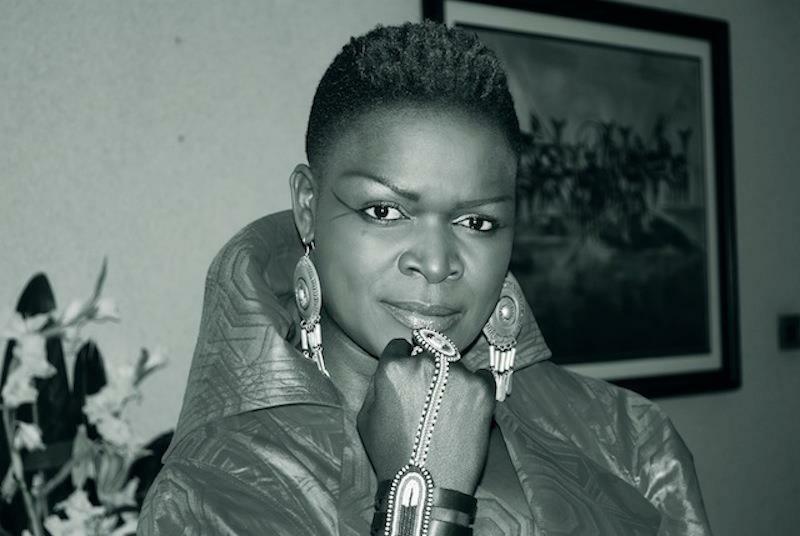 Born in Kasaye village – Nyakach, near Kisumu, Suzanna Owiyo was introduced to music at a tender age by her grandfather,a prolific Nyatiti player. In high school, her talent enabled her school to win many trophies during the provincial and national music festivals. In 1998, she joined a Nairobi based singer Sally Oyugi as a back up vocalist and two years a local band called Bora Bora sound. She later on went back to sing in Kisumu. It was here that a young business entrepreneur with a keen ear for music spotted her talent and offered her her first guitar. She returned to Nairobi and undertook music lessons at the Kenya Conservatoire of Music with an aim to perfect her skills.The lessons went on for a while but her interest was more into live stage experience. Suzanna then worked on an album with Kenyan music producer Tedd Josiah. The album, which received great success, and won her a nomination in the Kora Music Awards 2002 in the “Most Promising Female Artist and went on to win this category in the Kisima Awards of 2003. Her career resumed: In June 2003: Kenyan Festival in Paris.In August she represented East Africa at the Pan-African music Festival in Brazzaville where she sang alongside Youssou N’dour, Koffi Olomide and Rebecca Malope among other African greats and in December she performed in Djibouti. July 2004.“Festival Mundial” in Holland. In December 2004:Suzanna performed at the Nobel Peace Concert in Oslo in honor of Professor Wangari Maathai.In 2005: The annual Corporate Council on Africa Summit in Baltimore, the World Trade Expo in Japan and the Ziff Festival in Zanzibar. Jamhuri Day fete in Washington where she performed and made a series of appearances in the US states of Maryland, Washington and New York. 2006: participated in a one month summer intensive course on Arts in Medicine at the University of Florida where she was awarded a certificate on the same.In December, she performed at the street Festival in Calabar Nigeria. 2007: World Social Forum held in Nairobi, She was involved in the Local Government Sponsored Anti-corruption campaigns and recorded a theme song for the Kenya Tourist Board, MASA Festival in Abidjan, Ivory Coast, In August,YARA PRIZE AWARDS in Oslo where artists like Papa Wemba from DRC Congo,the Brass Brothers from Oslo just to mention a few graced the occasion and the New Years Eve Concert held in Maputo, Mozambique. June 2008: MANDELA CONCERT at the Hyde Park in London. This was in honour of Nelson Mandela as he celebrated his 90th birthday and also acted as a fundraiser for his Aids awareness campaign. The year ended with her,showcasing at the prestigious World Music Expo,WOMEX that took place in Seville Spain. May 2009:The Regional Zain Annual conference at Port Galib in Egypt and the Territorios Festival in Seville Spain. In July: She performed at Nelson Mandela Concert at the Radio City Hall in New York.Suzanna was named one of the AMBASSADORS of 46664, Nelson Mandela's global campaign that promotes human rights and HIV/AIDS awareness and prevention,and promote the campaign slogan "it's all in our hands". She has also participated in various advocacy campaigns for creating awareness on various social concerns in Kenya.ie The women empowerment project initiated by the Kenya Women Political Caucus. March 2011 she performed with Youssou N'Dour in a collaboration Tour dubbed New African Voices. in Copenhagen and on the 5th Stockholm,6th Gothenburg,7th Paris,8 Brussels,9th London,10th Besancon(France),13th Oslo.On the same 13th in Oslo, she Launched her 3rd Album titled My Roots that was released on Kirkelig Kulturverksted record Lable in Norway. In May,She launched her 3rd Album tittled “My Roots’ featuring Oliver Mtukudzi from Zimbabwe as a guest artist. In December,She was awarded ORDER of the GRAND WARRIOR Award (OGW) by His Excellency the President of the Republic of Kenya. She’s currently involved in a girls Empowerment Campaign project tittled “Because I am a girl” initiated by Plan International together with Yvonne Chaka Chaka & Oliver Mtukudzi. October 11th is the day of the girl and the whole world will celebrate the day with the Launch scheduled to take place in Ethiopia.